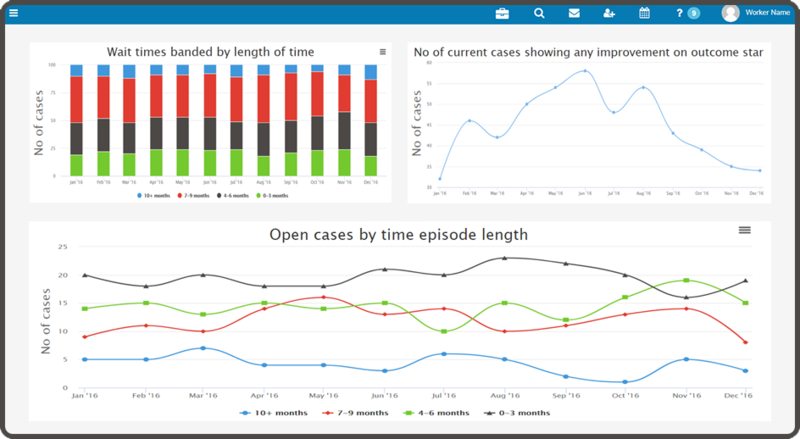 Halo provides a complete case management solution and can be bought as an off the shelf solution, or tailored to your requirements. This is the main case file, the central repository for the client information. Notes added at the Caseload Manager or Calendar can all be viewed here. This page shows your KPI results in a graph form. These are updated nightly so you’ll always see the most up to date information. Adding a referral is quick and easy with Halo’s wizard. The following video will take you through the steps. 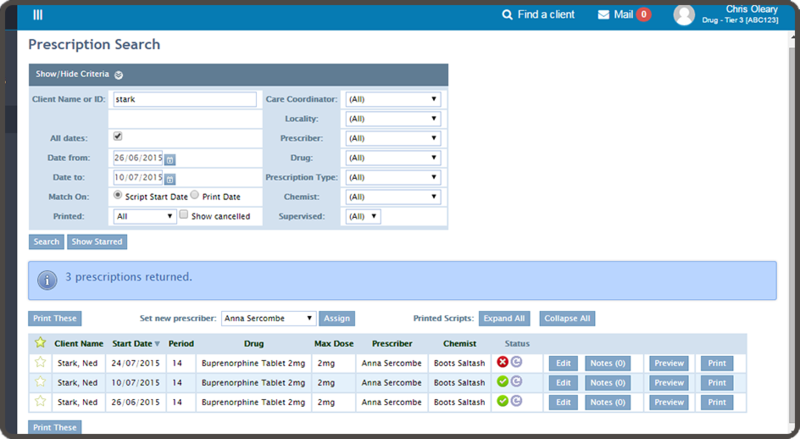 Carry out a prescription search to find all scripts for a client or a period of time. You can then carry out a number of activities on the scripts returned. 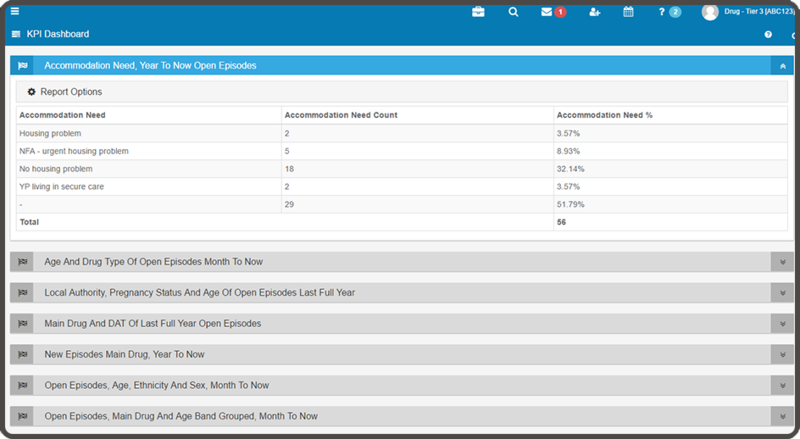 Halo has an automatic validation feature which takes you to each episode showing any errors. This is shown below. 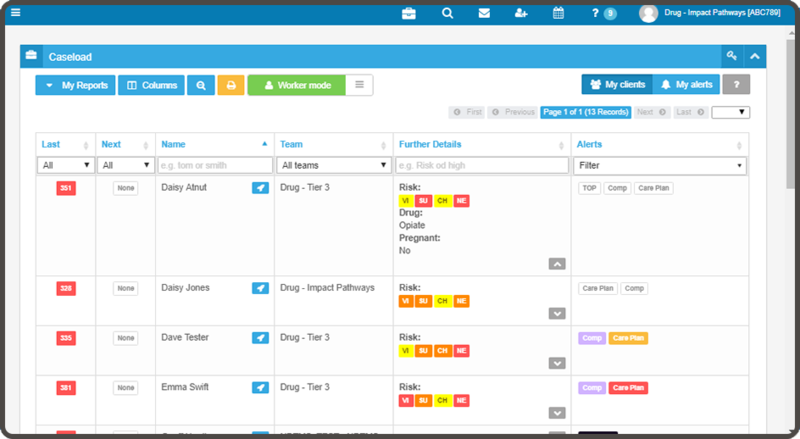 You can set up KPI reports for monthly or quarterly reviews. These are automatically updated so you’ll always see the most up to date information. The image below shows the start of a standard comprehensive assessment form. There is always the option of swapping in your own bespoke form. 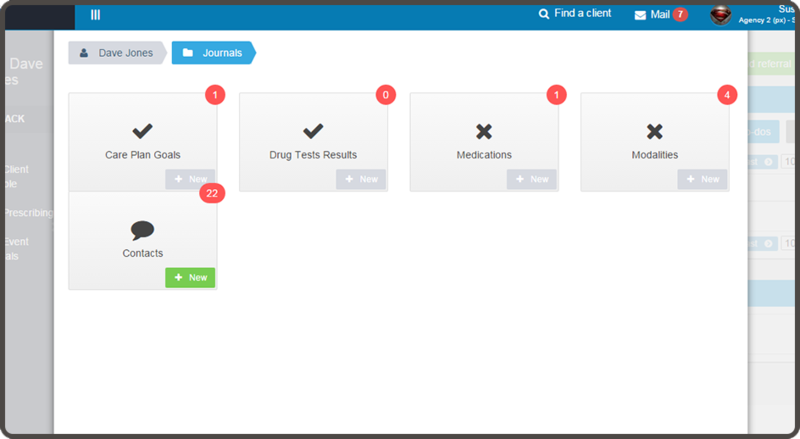 Halo has a number of options to show your outcomes. This is the most basic, a TOPs tracker report, it can be accessed through the client console at any time. 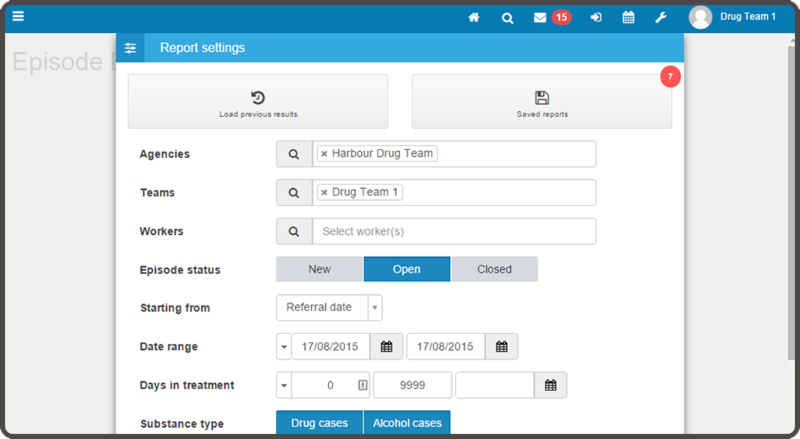 Halo’s reporting function is extensive but very easy to use. The below screen is starting from scratch, but you can also save reports to use again. The Event journal holds all of the other journals as shown below. These different screens can be navigated from within the event journal. 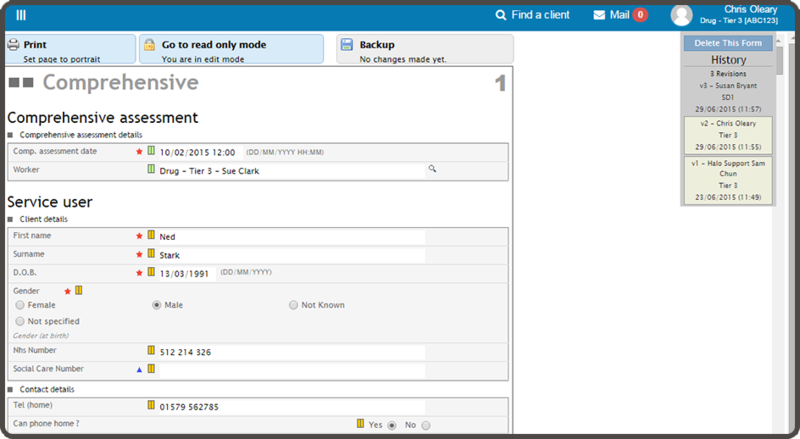 The stored documents module sits within the client console. You can add any type of document then filter by notes or date or episode/journey. Here’s a quick snapshot. 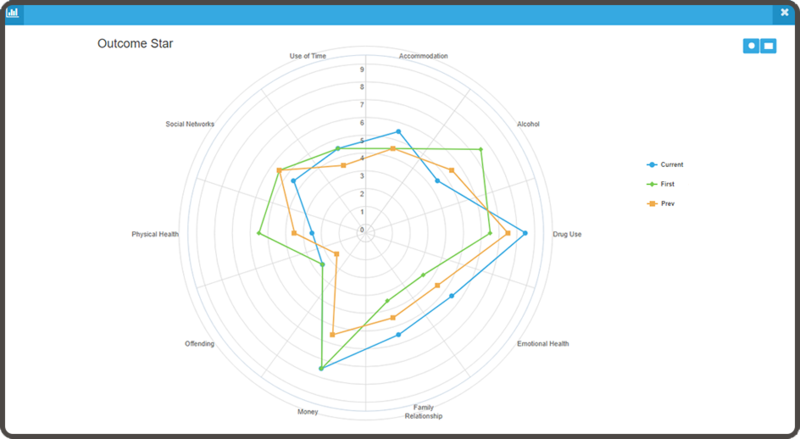 Halo is an enterprise level solution built to industry standard data security practice. 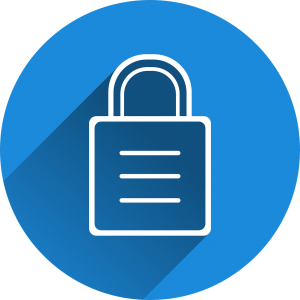 Data encryption, firewalls and 24hr system monitoring ensure the safekeeping of your sensitive data.